Welcome! My name is Shauna Vartanian, and I offer piano lessons in the classical piano style and music theory at my home studio in Pasadena, California. As an experienced piano teacher (since 1974), I am passionate about creative approaches to teaching music. My piano lessons are varied, adaptable to the individual student’s style of learning and I strive to inspire an overall appreciation for music as a fine art. 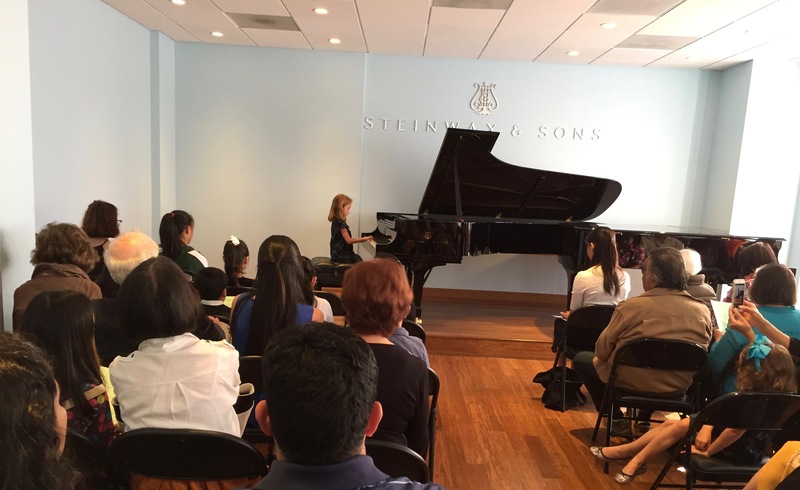 In their piano classes at my studio in Pasadena, students learn to sightread, understand rhythm, obtain ear-training skills, learn music theory, music history, to improvise, play classical, jazz, blues, pop, technique and artistry. I enter interested students into evaluations such as the MTAC, Certificate of Merit Program and the Music Developmental Program by The Royal Conservatory of Music. The purpose of the evaluations is to inspire excellence and celebrate accomplishments. Music Theory is the explanation as to how music is created. A foundation in music theory will give you the understanding of what you are playing. Learning performance skills at an early age gives us lifelong skills in expression and articulation. A classically trained musician, I completed a degree in Music Composition at the University of California, Santa Barbara. Past teaching experience in schools includes the Mirman School for Gifted Children. Professional organization memberships are maintained to enhance teaching skills and provide the student with opportunities for festivals, competitions, and performance events. I am a member of The Music Teachers Association of California and The Music Teachers National Association.